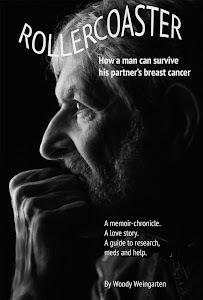 Zero Breast Cancer, which collaborates with scientists on studies designed to identify the causes and recurrence of the disease, has given my book, "Rollercoaster: How a man can survive his partner's breast cancer," a prominent push on its website. ZBC, a nonprofit based in San Rafael, California, was founded in 1995 as Marin Breast Cancer Watch. It became Zero Breast Cancer in 2006. It's 16th annual Honor Thy Healer awards program and dinner is scheduled for Thursday, May 7, 2015, shortly before its Racing for Research fundraiser on Saturday, May 16. A third event, Dipsea Hike for Zero Breast Cancer, is slated for Sept. 26. 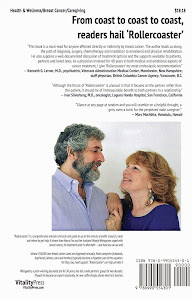 You can register for any or all of the ZBC events, or obtain information about the organization, at www.zerobreastcancer.org or by calling (415) 507-1949.